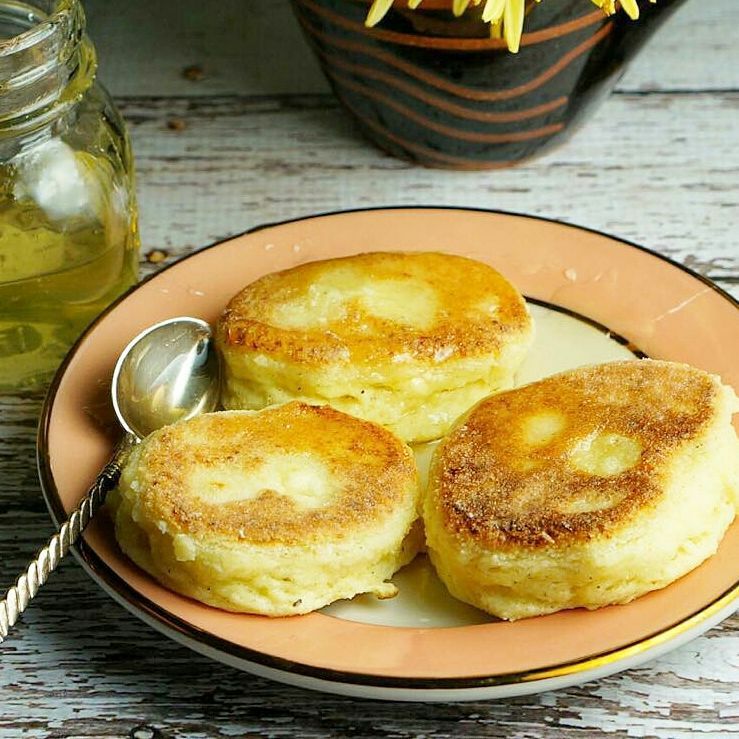 Fit Fluential Mom: Ricotta Pancakes! Yum! RICOTTA RICE PANCAKES with honey! Check out these quick, simple. Calcium-rich pancakes made with only 4 ingredients! Can't wait to give thesea try! Mix together ricotta and the egg. Add baking powder and as much rice flour as you need to be able to form small balls with your hands. The mixture should still be sticky and very soft. Pan fry using coconut oil (or oil of choice). Put honey right on top when serving rather than putting it in the mixture because its healing powers get destroyed when heated. Recipe created by Soren's Purple Plate!